A synaxis is a liturgical gathering. It can also refer to an unveiling. 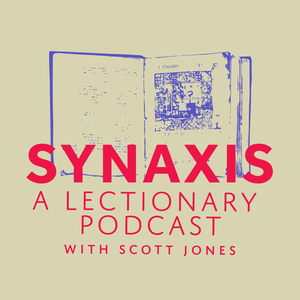 The synaxis podcast is a weekly gathering hosted by Scott Jones for the purpose of finding the life giving, healing word of the Gospel in the words of the weekly lectionary passages. Join Scott Jones and his guests each week as they explore the lectionary texts together. This is the place for a Gospel rich, grace saturated and properly worldly lens on the week's lectionary passages, all in 25 minutes or less! My guest is Matthew Milliner. He is Associate Professor of Art History at Wheaton College. We discuss the lectionary texts for Easter Sunday (C): Acts 10:34-45, 1 Corinthians 15:19-26, and John 20:1-18. My guest is Jady Koch. Jady is the Associate Rector at Christ Church in Mount Pleasant, South Carolina. We discuss the Lectionary readings for Palm Sunday (C): Isaiah 50:4-9a, Philippians 2:5-11, and Luke 19:28-40. My guest is Adam Borneman. Adam is an ordained minister in the Presbyterian Church, USA and currently serves as Program Director for Macedonian Ministry which provides diverse peer learning groups for pastors in communities all across the United States and Scotland. We discuss the Lectionary readings for the Fifth Sunday in Lent (C): Isaiah 43:16-21, Philippians 3:4b-14, and John 12:1-8. My guest is Jady Koch. Jady is the Associate Rector at Christ Church in Mount Pleasant, South Carolina. We discuss the Lectionary readings for the Fourth Sunday in Lent (C): Joshua 5:9-12, 2 Corinthians 5:16-21, and Luke 15:1-3, 11b-32. My guest is Jared Jones. He is the head chaplain at Holy Trinity Episcopal Academy in Melbourne, Florida. We discuss the Lectionary readings for the Third Sunday in Lent (C): Exodus 3:1-15, 1 Corinthians 10:1-13, and Luke 13:1-9. My guest is Adam Borneman. Adam is an ordained minister in the Presbyterian Church, USA and currently serves as Program Director for Macedonian Ministry which provides diverse peer learning groups for pastors in communities all across the United States and Scotland. We discuss the Lectionary readings for the Second Sunday in Lent (C): Genesis 15:1-12, 17-18, Philippians 3:17-4:1, and Luke 13:31-35. My guest is Glenn Stallsmith. Glenn is a pastor who serves two United Methodist Churches in rural North Carolina. He's also a ThD student at Duke Divinity School. We discuss the Lectionary texts for the First Sunday of Lent (C): Deuteronomy 26:1-11, Romans 10:8b-13, and Luke 4:1-13. My guest is Kenneth Tanner. He's the pastor of Church of the Holy Redeemer in Rochester Hills, Mich. He writes for numerous websites and magazines, including "The Huffington Post" and "Sojourners." We discuss the lectionary passages for the Last Sunday after Epiphany (C): Exodus 34:29-35, 2 Corinthians 3:12-4:2, and Luke 9:28-36. My guest is Bill Borror. He's the co-host of the New Persuasive Words podcast. He's also a pastor and church leadership consultant. We discuss the lectionary texts for the Seventh Sunday after the Epiphany: Genesis 45:3-11, 15, 1 Corinthians 15:35-38, 42-50, and Luke 6:27-38. My guest is Adam Borneman. 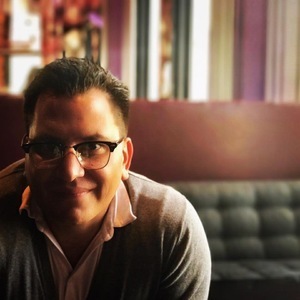 Adam is an ordained minister in the Presbyterian Church, USA and currently serves as Program Director for Macedonian Ministry which provides diverse peer learning groups for pastors in communities all across the United States and Scotland. We discuss the Lectionary readings for the Sixth Sunday after Epiphany (C): Jeremiah 17:5-10, 1 Corinthians 15:12-20 and Luke 6:17-26. My guest is Emily Hunter McGowin. She serves as Associate Lecturer of Theology at Wheaton College. She is also a deacon in the Diocese of Churches for the Sake of Others. We discuss the Lectionary texts for the Fifth Sunday after Epiphany: Isaiah 6:1-8 [9-13], 1 Corinthians 15:1-11, and Luke 5:1-11. My guest is Bill Borror. He's the co-host of the New Persuasive Words podcast. He's also a pastor and church leadership consultant. We discuss the lectionary texts for the Third Sunday after the Epiphany: Nehemiah 8:1-3, 5-6, 8-10, 1 Corinthians 12:12-31a, and Luke 4:14-21. Episode 78: Why Was Jesus Baptized? My guest is Heidi Hankel. She's the pastor of the Bethesda Presbyterian Church in Philadelphia, PA. We discuss the lectionary texts for the First Sunday after Epiphany (C): Isaiah 43:1-7, Acts 8:14-17, and Luke 3:15-17, 21-22. My guest is Greg Strawbridge, CREC pastor, podcaster and author. We discuss the lectionary passages for Epiphany Sunday (C): Isaiah 60:1-6, Ephesians 3:1-12, and Matthew 2:1-12.